Central coast living in San Luis Obispo coastal cottage. New home over 1,325 square feet available for purchase. Two bedroom with third bedroom/den option and a great open floor plan. Light and bright kitchen with solid surface countertops, full height pantry, upgraded hardware, stainless steel appliances, and shaker cabinets. Master bathroom features a double vanity, separate toilet, and a walk-in 60" shower. Home includes dedicated laundry room with hookups for the washer and dryer. 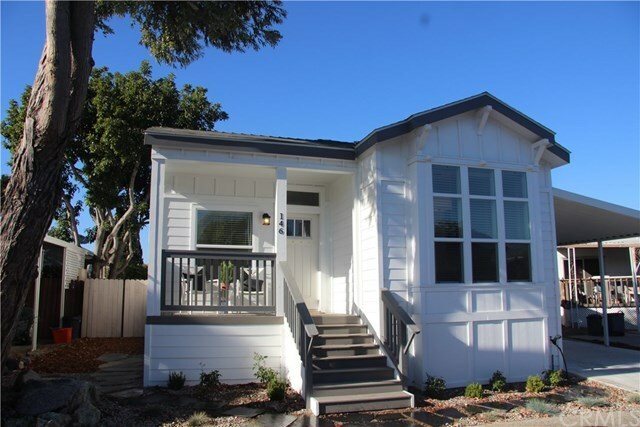 Located in San Luis Obispo's finest mobilehome community, this home is near to wine country and the coastal path. Creekside Community offers a comfortable clubhouse, game room, playground, and year round heated pool and spa. The home is located just feet away from the natural beauty of the creek and walking path. This home is walking distance to store and coffee shop. For more information on this home please contact the park office.